American Gods showrunner Jesse Alexander is no longer actively-helming the fantasy drama according to a US report. The Hollywood Reporter claims Alexander is no longer working on the drama as a writer or showrunner, and has been asked not to sit in on editing, be involved on set or participate in any other areas of production or post-production. “Fired but not fired” was how one source described the move with suggestions Fremantle would rather exile Alexander than endure the negative attention that would come with dismissing a second showrunner in two seasons. Alexander took over in February after original showrunners Michael Green and Bryan Fuller were pushed out. Amid rumoured delays, a second season is now expected in 2019. 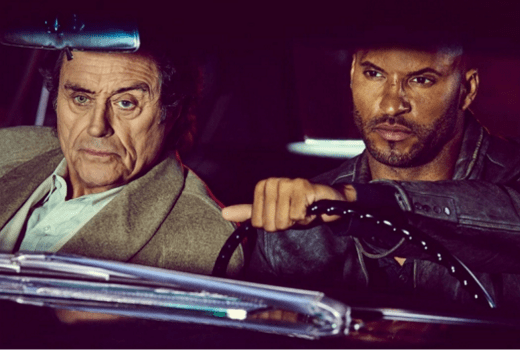 American Gods screens in Australia on Amazon Prime. From other accounts it seems production is a hot mess – something of a 5-way split between Starz, Fremantle, Gaiman, the cast, & Alexander. Starz wanting to be hands-off, but disagreeing with Fremantle over production & scripts. Fremantle wanting to trim the budget, & the EP who championed it at Fremantle leaving. Gaiman wanting more control, & Fremantle giving it to him to keep him happy. Gaiman re-writing scripts (he’s notorious for that). The cast re-writing scripts (?!). Alexander – Gaiman’s choice for showrunner – not being able to pull any of it together & losing his support. Pity – because it’s one hell of a story, most of the changes (some major) between book & screen fitted well, & production design (if not budget!) was well up to it. I have a suspicion that the adult content may have stirred a few moral watchdogs of American TV to advocate toning down the graphic imagery even though it is done at great expense and expertise in CGI. I was in two minds about American Gods as it was voyeuristic which is a common theme used when exploiting sexual matters in low budget movies and TV shows that have very little else going for it, this is not the case for American Gods.Removing the original showrunner and creative team in season 1 removes the creative heart of the show.